This week on Family Policy Matters, NC Family is pleased to bring you a special look into one of our Cornerstone Community calls. 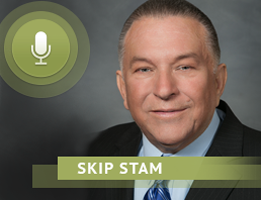 Our most recent call featured special guest Paul “Skip” Stam, former Speaker Pro Tempore of the North Carolina House of Representatives. 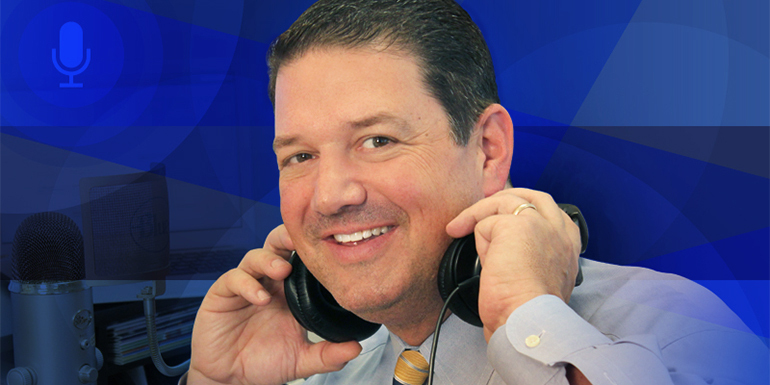 Along with NC Family President John Rustin, Stam shares his insight on the recently convened 2019-2020 session of the NC General Assembly, and how he thinks this new legislature will address key issues such as abortion, school choice, and gambling. Welcome to Family Policy Matters. This week, we’re pleased to bring you into one of NC Family’s monthly Cornerstone Community calls. The Cornerstone Community is the designation we have given to a special group of visionary partners who have invested deeply in the work of NC Family through prayer, partnership, and financial assistance, as we strive to make North Carolina the most prolife and pro family state in the nation. We invite these partners to join us for a monthly Cornerstone roundtable conference call where they get the inside scoop on what’s happening on important issues facing North Carolina families. In January we were pleased to have a special guest join us, former Speaker Pro Tempore of the North Carolina House of Representatives, Representative Paul “Skip” Stam. As a state lawmaker spanning nearly three decades, and as a leader in the House for many of those years, Skip brought a seasoned and unique perspective to our discussion about the upcoming session of the North Carolina General Assembly, which convened right at the end of January. Facilitating the call is NC Family’s Communications Director, Traci Griggs. TRACI GRIGGS: Skip, thank you so much for joining us. SKIP STAM: Well, good afternoon Traci. TRACI GRIGGS: So, the dynamics of the North Carolina General Assembly have changed since the last election. Republicans held on to majorities in both the State House and Senate, but lost supermajorities. So how do you think this is going to affect how things are going to get done down there? SKIP STAM: Let me go back to a little history. In ‘95 to ‘98, Republicans had a majority in the House, but not the Senate, but what happened in those years? Charter schools started, parental consent before abortion. In other words you don’t have to even have a majority of Republicans to enact legislation. In 2011-12, it was the first time in 140 years that we actually had a majority in both House and Senate, but it was not a veto-proof majority in the House. So, the fact that there is no longer a supermajority in both Houses does not mean that you can’t do things. Nevertheless, there are reduced majorities, so that means there are reduced opportunities for aggressive action; but it doesn’t mean there are no opportunities. TRACI GRIGGS: Well, that’s a very helpful perspective. So what’s your sense of what will be the top priorities of the leadership this year? SKIP STAM: In general, with the budget, they’ll probably be wanting to hold spending down to what’s called the “table level,” that is inflation plus population growth. And that’ll be a big challenge because the governor will want to spend more and they’ll want to spend less. And so there’ll be a lot of back and forth. TRACI GRIGGS: So let’s talk specifics now. You were a leader in the pro-life movement in this state for over 30 years, and still are. So what are you hearing on that front? What might be coming down the line on pro-life issues, do you think? SKIP STAM: Here’s my perspective on that. Of course, we had Parental Consent, and pretty much did away with the State Abortion Fund when the Republicans did not even have a majority in the Senate. But, starting in ‘11 and ‘12, we passed about 10 laws including Women’s Right to Know, a lot of insurance issues, and they were pretty contentious. Although, one of the amazing things is almost none of them had lawsuits successful against them except one part of the Ultrasound. And then, currently in litigation is effectively an ending of abortions after 20 weeks. That particular provision went through with no discussion, no debate, and no controversy in committee or on the floor. And it even took Planned Parenthood a year after it went into effect to even realize it was there. However, it’s been 2015 since the Assembly—that’s four years—has been asked to actually vote on anything pro-life. In 17-18 there were some very good provisions put in the budget, funding our pregnancy care centers for ultrasound, a lot of money for ultrasounds and that kind of thing. But that was part of a 400-page budget, and so they were not really big issues. It’s probably time to have a couple of bills actually voted on up or down, try to pass them. I think we can. Two things that were introduced in 2018 or 17, and I think we would have a chance, are: (1) a proposal to stop what’s called “dismemberment abortions.” That is when a child is cut up in the womb after being fully formed and pulled out piece by piece. That’s surgical abortions usually, you know, in the second trimester. Ten states now have that, a couple of them are in litigation and it’s pretty hard to vote against, I would think. Then the second one is to encourage a new procedure. You may know that almost half of the abortions are done by a pill rather than by surgery. But if after that first pill is given, if progesterone treatments are started within the first, say, three days, two thirds of those pregnancies can be carried safely to term. And you have a baby. And I would think a lot of women might have second thoughts after they’ve had their first thought. So I think that’s one that we would have a good shot on. TRACI GRIGGS: So can I just get a quick clarification on the abortion pill? What would you envision that to be? That these women that have taken the first abortion pill would have to be informed that they could change their minds? SKIP STAM: Yes, that’s the proposal. You can’t tell the doctor what to say, but what you can do is tell the doctor after you’ve given a woman the first pill, which is used to be called RU486, to hand her a piece of paper that says, “The State of North Carolina advises you that this is potentially reversible. If you’re interested, call this toll free number to the “Reverse Pill Hotline.” There are about 400 doctors nationwide who know how to do this, and it’s not that difficult. It’s just injections or pills for progesterone. This basically counteracts that first pill. TRACI GRIGGS: Right. And this is something we don’t hear a whole lot about, so that seems like some important information. SKIP STAM: They normally tell them, okay, you have to, in about three days, take the second pill, which is a different thing which starts contractions going. But if they can take this progesterone before those contractions start going, about two thirds of the time they can have a successful pregnancy. TRACI GRIGGS: Well, let’s move on to school choice, because we know that you also have worked very hard in years past to promote school choice in North Carolina. We also know that the governor has come out against some of the funding for school choice. What projections might you have on what may happen regarding this? SKIP STAM: Long story short is we’re trying to get the amounts given for scholarships based on a percentage of what’s given for through the public schools.—in one case, 80 percent in other cases, 85 percent—so that it goes up with inflation rather than having the set amount. And not only does it mean you wouldn’t have to adjust it every few years for inflation, but it also makes it more transparent to legislators and the public that this saves money. It doesn’t cost 100 percent of what it costs to subsidize the child in a traditional public school. We’ll also propose, I hope, a slight increase in the amount of money someone can make and still qualify for it. Some of the rest of it is sort of technical. There’s enough money there now for Opportunity Scholarships, but they’ll always have a waiting list for Disability Scholarships, and that would seem to be something that’ll be really hard for the governor to complain about. So we are going to ask for an increase in the Disability Scholarships as well. Going up from about 13 million this year, up about another 2 million next year. TRACI GRIGGS: Okay. Let’s jump into gambling for a moment. I know this is another issue that’s dear to your heart, and you worked very hard to control it. Any thoughts on what might be coming down the pike on that one? SKIP STAM: Yes. One of the vetoes that was not overridden by the governor, and thankfully the governor was right on this, related to casino nights that passed the assembly that really expanded local gambling and really was a precursor to getting all these video games all over the state, and the governor vetoed. It wouldn’t surprise me if that came back up again and I would hope he would stick with us again and veto it again. JOHN RUSTIN: And I would add that one provision in that bill, an earlier version of the bill, would have allowed for gambling casinos in individual homes, not just for nonprofits. So there was a very extensive version of the bill that was introduced initially and as it went through the House and the Senate it got pared down a good bit, and we were very appreciative of the governor’s veto on that particular bill because it did help to forestall that from getting enacted. SKIP STAM: Yes, and especially new proposals for sports betting. This has been facilitated by the decision of the U.S. Supreme Court, which basically says it’s up to the states. You’ve got chairmen of committees that are talking about regulating and taxing and legalizing sports betting. JOHN RUSTIN: I’m sorry, I will just say I would add to that, that there was a huge push, nationally, to expand sports gambling all over the country, not only the Daily Fantasy Sports that we hear about, which is FanDuel and DraftKings, but having national broadcast television, ESPN and these other broadcast and cable sports channels be facilitators of significant sports gambling in the country. And so we are really just at the tip of the iceberg as it relates to that. Fortunately, we’ve been able, the last two years, to defeat proposals that would legalize Daily Fantasy Sports gambling in North Carolina. But, Skip, as you’re saying, these efforts are definitely going to continue because there are millions and millions if not billions of dollars at stake. TRACI GRIGGS: Skip, before we let you go, we’ve been talking a lot in our end-of-year mailings to people, about how important state legislation is and the effect that it has, a ripple effect across the nation, and how important the kind of work that we do here at Family Policy Council is, to not only what happens in our state but what happens and reverberates across the country. Could you just speak on that just a little bit? SKIP STAM: Well, I’ll just give one example. If you remember I mentioned the Dismemberment by Abortion law. If it hadn’t already passed in 10 states, and in effect in some, we’d be less likely to be able to get it through in North Carolina because precedents are set. And so some of the precedents we set in school choice particularly, and also some of our pro-life laws, have been used in other states because they see it worked. Eugenics Compensation; North Carolina was the first in the nation to do it. Virginia followed a year later because they read about what we did. TRACI GRIGGS: What about for people who want to hear more about the things that you’ve written about? You have a website. Do you want to give us the address? SKIP STAM: Oh yes, yes. paulstam.info, and go under “articles.” There are lots of good articles.